Our used Swift Challenger 565 AL is shown below, for more information please contact us. INCLUDES MOTOR MOVER AND ALDE HEATING! 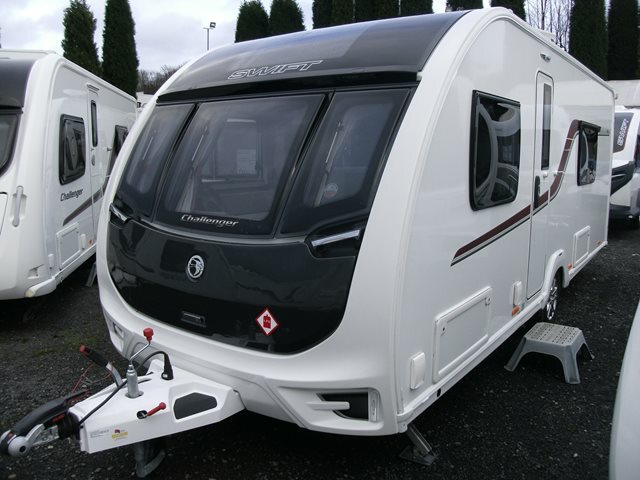 The four berth Challenger 565 AL features two bench seats to the front, central kitchen, twin fixed beds and spacious end wash-room. It also comes with the upgraded Alde heating and Lux pack which adds an illuminated kitchen splashback, external BBQ point, external 230V socket, external service door and a key fob operated alarm system. This van is in excellent condition and also has the benefit of a fitted motor mover. For any further information please contact us on 01384 413336 and ask for a member of the sales team.